Mouse anti human CIP2A antibody recognizes the protein CIP2A, also known as cancerous inhibitor of PP2A, cancerous inhibitor of protein phosphatase 2A or p90 autoantigen. This antibody has been extensively validated for western blotting using whole cell lysates. Mouse anti Human CIP2A antibody recognizes CIP2A, also known as cancerous inhibitor of PP2A, cancerous inhibitor of protein phosphatase 2A and p90 autoantigen. 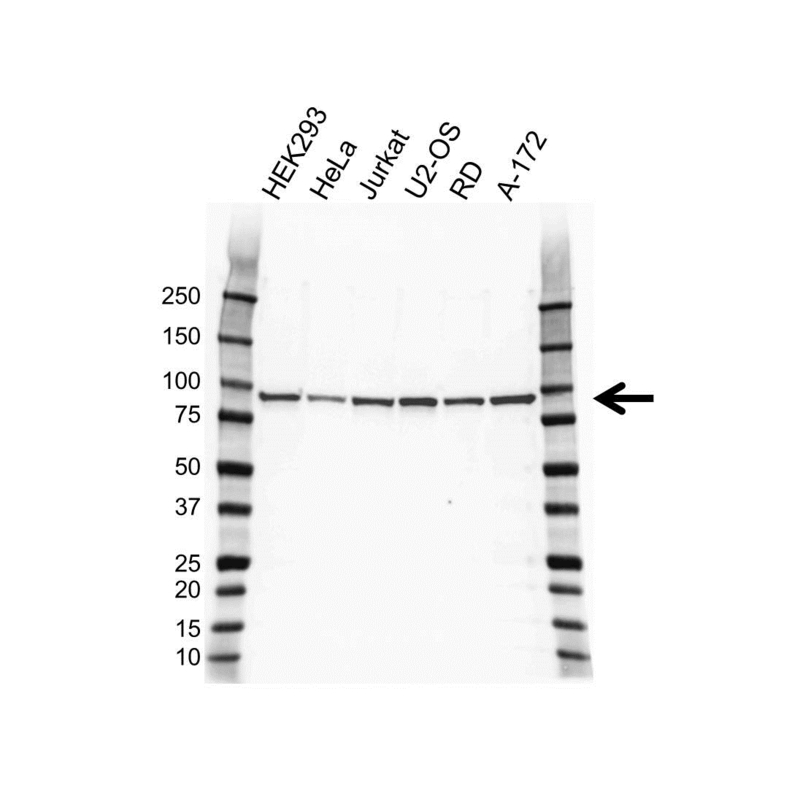 Mouse anti Human CIP2A antibody detects a band of 90 kDa. The antibody has been extensively validated for western blotting using whole cell lysates.